People with HIV may be living longer thanks to effective drug treatments but an unintended consequence could be a false sense of confidence that the disease has been beaten. Dr Matthew Kaye, a medical scientist with the Victorian Infectious Diseases Reference Laboratory (VIDRL), says that over 20 thousand people in Australia are living with HIV, with 1000 new infections each year. Speaking at this month’s Royal College of Pathologists of Australasia (RCPA) Pathology Update Conference in Melbourne, Dr Kaye said that those figures, while concerning, need to be seen in a global context. "The good news for Australia is that, compared to some other countries, our HIV infection rate is quite low. You could put this down to the rapid public health response to HIV back in the 1980s. "If you contracted HIV in the early 80’s, the longest you could expect to live would be 10 years. Now, with the help of effective drugs, that has increased to 20 years or more. 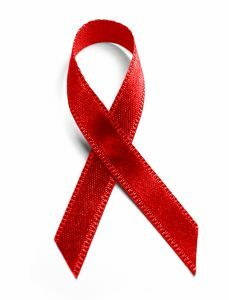 "Despite our best efforts however, HIV remains a terminal disease. Anti-retro viral drugs mean a person can lead a relatively healthy life for a lot longer than they previously could but that’s far from a cure," said Dr Kaye. Medical scientists at the VIDRL are concerned that the better prognosis for people with HIV may have the unintended consequence of more relaxed attitudes to risk. "If someone is a high risk taker, they not only put themselves at risk, they also pass on the number of subsequent infections. 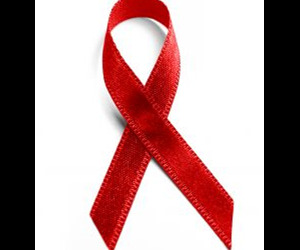 This is a particular concern during the window period that exists between HIV infection and diagnosis. "That can take up to four weeks and within that time frame, the infected person will not feel unwell and no visible symptoms will be apparent," said Dr Kaye. Public health figures indicate that up to 30 percent of HIV infections in Melbourne may be from people who are unaware of their HIV status at the time. Medical scientists also want to draw attention to the introduction of different HIV sub-types in Australia. The sub-types are regional strains of the virus, with each one associated with a particular part of the world. Previously, sub-type B was the HIV strain most prominent in Western countries like Australia; now the introduction of a variety of sub-types from elsewhere is apparent. "This isn’t a one-way infection. It can be caused by infected people moving to Australia, or by Australians travelling to countries where the different sub-types are prevalent, undertaking high-risk behaviour which leads to infection and returning with the disease. This is particularly evident in the heterosexual population. "One major worry is that, for people who are unaware of their infection, this may lead to mother to child infection before or during birth," said Dr Kaye. Medical researchers like Matthew Kaye want to get the message out that, despite the development of drugs that improve the lives of people with HIV, the risk still exists because of the window period for infection as well as the diverse sub-types that are presenting themselves in the broader population. "We are not close to a cure for HIV; we are simply managing it better. Understanding the disease and how it is passed on is vital for maintaining Australia’s strong response to HIV management."